The Talk co-host Julie Chen just let fans everywhere know where her loyalties lie. On Thursday, Sept. 13, 2018, Chen returned to our TV screens for the first time since her husband, Les Moonves, resigned from his role as chairman and CEO of CBS after being hit with multiple allegations of sexual misconduct. Chen hosted Big Brother, as she's done for years, and, at the show's close, she signed off in a brand new way. Looking at the camera, she said, "I'm Julie Chen Moonves. Goodnight." As noted by People, Chen's words marked the first time she's ever used the last name Moonves on Big Brother, as she's known professionally as Julie Chen. The move seemed to be a subtle way to tell the audience and the network that she was standing by her husband. According to the magazine, Chen's on-camera goodbye shocked people on set. "No one was angry," a source involved in the production of Big Brother told People. "It was more like 'Did she just say that? I can't believe she just said that.'" 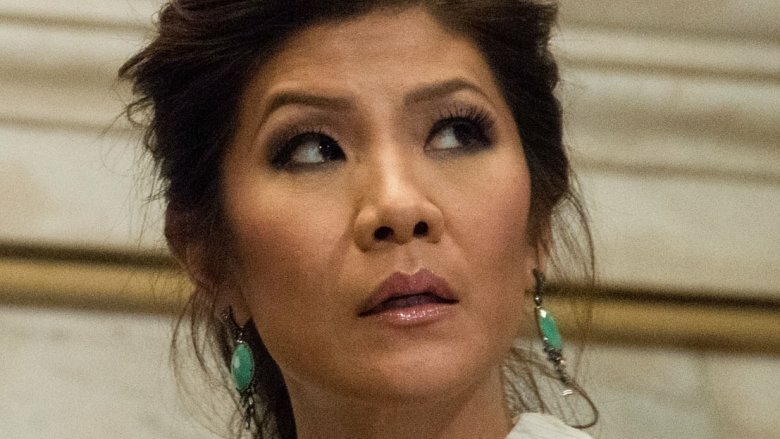 The insider added that everyone immediately understood what Chen's comment really meant: "Everyone knows that it's a big 'f*** you' to CBS that she did it, because she never, ever refers to herself as anything but Julie Chen." Noting that the move was "sort of perfect," the source said that, while many viewers might not have even picked up on Chen's name change, CBS noticed. "They were watching every single second of the show to see if she would do anything," the insider explained. "They must have been breathing a sigh of relief because the show was almost over, and then that happened!" 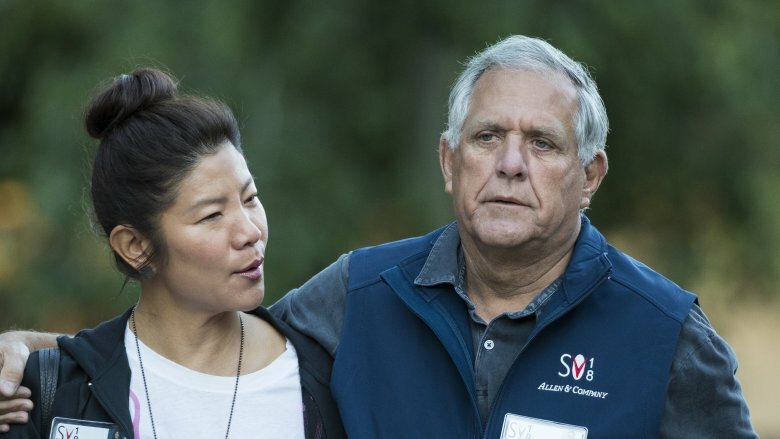 Chen, who shares 8-year-old son Charlie with Moonves, has firmly stayed by her husband's side throughout his sexual harassment scandal. In July 2018, after Moonves was first accused of sexual misconduct in a New Yorker exposé by writer Ronan Farrow, Chen commented on the matter on Twitter, writing, in part, "Leslie is a good man and a loving father, devoted husband and inspiring corporate leader. He has always been a kind, decent and moral human being." Chen has yet to directly address the most recent developments highlighted in Farrow's second exposé about Moonves' alleged behavior published on Sept. 9. She's been absent from The Talk for several days. However, we expect she'll have something to say to viewers when she returns.